The New England Patriots claim that when Jim McNally called himself the "deflator," he was referencing his weight loss. The Patriots made it clear Thursday that they won't go away quietly in the wake of Deflategate. Their response? 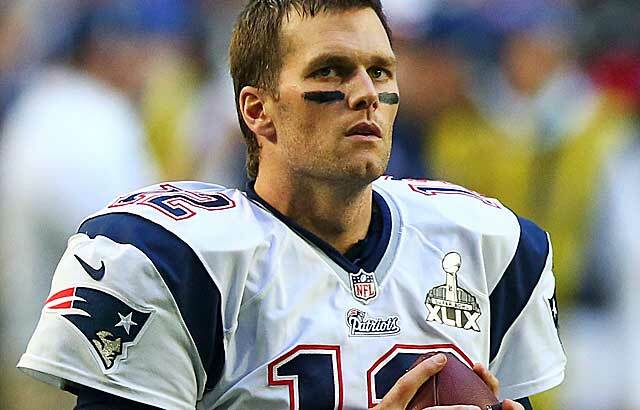 A massive, seemingly unending written response to Deflatgate and the Wells Report. Included in that response? A strange explanation for one particular text message -- the one that included the use of the word "deflator" -- exchanged between two Patriots staffers that appeared in the Wells Report. The Patriots' response is a long and detailed report (direct link to it is here), which might have made it easy to miss that detail of interest. But it's there. Buried within the sprawling text, the Patriots offered a defense for the revealing text messages between locker room attendant Jim McNally and equipment assistant John Jastremski. In a text message sent to Jastremski, McNally referred to himself as the "deflator." Yet, according to the Patriots, there's a simple explanation for McNally's nickname. They claim it has nothing to do with deflating footballs, and instead, they claim it has everything to do with McNally wanting to lose weight. Mr. Jastremski would sometimes work out and bulk up -- he is a slender guy and his goal was to get to 200 pounds. Mr. McNally is a big fellow and had the opposite goal: to lose weight. "Deflate" was a term they used to refer to losing weight. One can specifically see this use of the term in a Nov. 30, 2014 text from Mr. McNally to Mr. Jastremski: "deflate and give somebody that jacket." (p. 87). This banter, and Mr. McNally's goal of losing weight, meant Mr. McNally was the "deflator." There was nothing complicated or sinister about it. An important aspect of the Patriots' argument hinges on the fact that the "deflator" was only found in one text message, which the team argues the NFL took out of context. "The Report then takes this one word, in this one text, and uses it throughout the Report as a moniker for Mr. McNally," the Patriots' response reads. "Is this true objectivity?" Also included in the Patriots' defense are more text messages between McNally and Jastremski, which the Patriots are hoping add additional context to their conversation. Unsurprisingly, the Patriots offered an explanation for the ESPN reference in the text messages. The "espn" reference in this string of jocular texts was part of their banter and related to the "new kicks." Mr. Jastremski had made it clear to Mr. McNally over time that his (Jastremski's) boss would not be happy with him were he to give away sneakers to Mr. McNally. That fact is quite explicit in a number of their texts. (p. 82 -- after texting about possibly getting Mr. McNally sneakers and apparel, Mr. Jastremski writes: "unless Dave [his boss, Dave Schoenfeld] leaves the room tomorrow then it'll wait till next week"). Getting sneakers or apparel for his friend Mr. McNally, in short, meant Mr. Jastremski would have to do so behind his boss's back. They teased each other about whether Mr. Jastremski would get in trouble for giving him sneakers. The May 2014 McNally text reference to "not going to espn" follows his request for "new kicks," and was Mr. McNally's way of saying, in substance: "Hey, don't worry about whether giving me those sneakers will get you in trouble -- I'll never tell." In short, the Patriots are arguing that McNally and Jastremski were talking about weight loss when the use of the word "deflator" popped up in their text messages, and that the ESPN reference is about shoes -- not deflating footballs. Now, the only question is: Do you believe them?